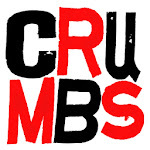 CRUMBS performance at the Vancouver Theatresports Tournament failed to impress the harsh judges. There were a lot of booing (at the scores, not the scenes) but the judges were not swayed from their small numbers (damn judges). Still, the shows were amazing and there is/was so much talent and hilarium at the theatesports tournament this year. We hope that nay blog readers and fans will forgive us for dropping the proverbial ball and letting it bounce down a storm sewer... I blame the economic downturn. At least nobody blew out their knee this year. See folks make the trip worth it. A city is not the architecture and beautiful views (of which Vancouver has in spades (whatever "in spades" really means)) but about the people you know in it (though Vancouver has a bunch of crazy ya-hoos as well as the really cool folks we know).